We take pleasure to introduce ourselves as one of the renowned firms for providing the best-in-class range of Pressure Vessel. 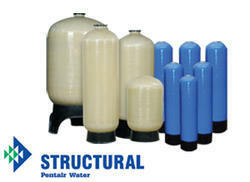 We are instrumental in manufacturing, supplying and distributing Pressure Vessel. High in capacity, these vessels are developed with the aid of modern machinery and technology, installed at our infrastructure facility. Meeting the exact demands of customers in efficient manner, we have gained huge client-base. GRACE ™ [RANGOLI] Pressure / Vacuum vessels for any highest pressure and full vacuum are manufactured by us in FRP & dual laminates of construction. We supply the Pressure Vessels that are produced using highest quality equipments within the given time period and at a really affordable range. The pressure vessels are tested using varied parameters such as radiography, ultrasound testing, etc. It is well verified before placing it into the market. 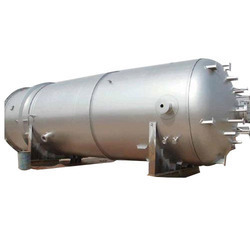 We are the quality manufacturers and exporters of Stainless Steel Pressure Vessels. These vessels are manufactured using premium grade stainless steel and are presented at the best rates in the industry. We offer GRACE™ PP/FRP Pressure Vessels & Vacuum Receivers for any highest pressure and full vacuum are manufactured by us in FRP & dual laminates of construction.